For directions to this facility click on the image above. Pay your assessments (Check or cash, credit card*). Obtain your property owner ID card, Access Card, or Fitness Membership. Purchase family passes and property owners in good standing may rent pontoons and non-power boats. Purchase boat decals and state registration for watercraft. *Accepting Visa, MasterCard and Discover. We impose a surcharge on credit cards that is not greater than our cost of acceptance for assessment payments. 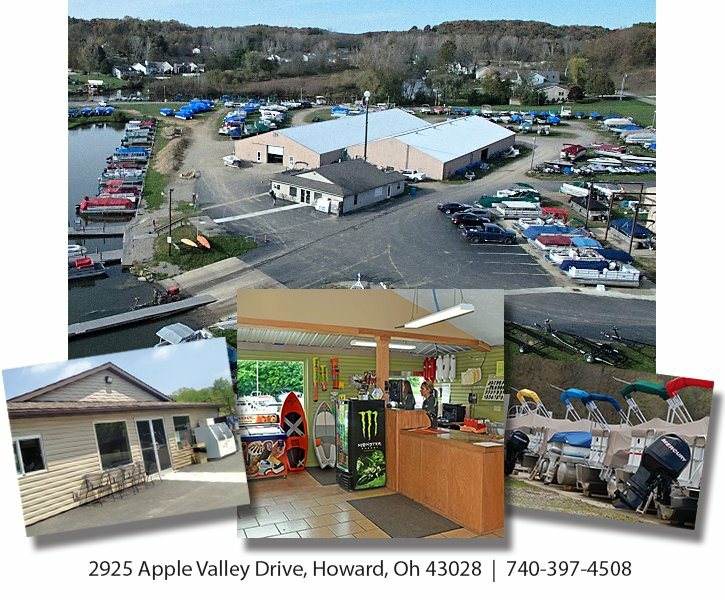 The Apple Valley Marina is a full service marina owned and operated by the Apple Valley Property Owners Association. The Marina sells new and used boats, trailers, boat lifts, engines, and more. 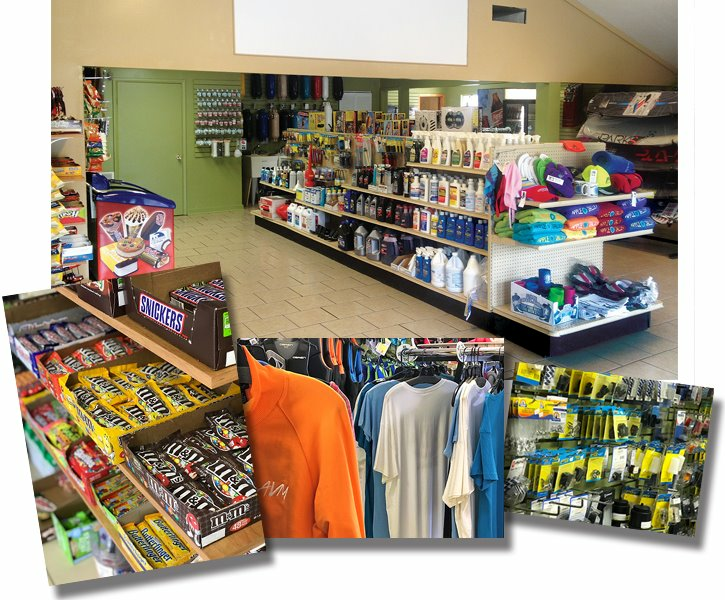 The Marina Store is fully equipped with bait, tackle, rods and reels, gas, oil, service parts for boats and trailers, safety equipment, life jackets, water-sports equipment and accessories, Apple Valley appeal, snacks and beverages. Winterization, De-Winterization, Annual Inspections, Detailing, and Shrink Wrapping services also available. Please call 740-397-4508 for more details. Deposit is due upon reserving rental. The required cancellation notice is required to refund your deposit. Rentals to members in good standing only. Additional $20.00 fee for walk-ins. Damage and/or security deposit is required in cash or credit card plus valid driver's license. Damage to rental boats and equipment (including propellers) is the customer's responsibility to pay for. Must be 21 or over to rent a boat with a motor.